Here’s to a classic kosher breakfast that’s definitely a must-try! Get in touch with Israeli’s traditional culture with the class Sabich or Sabih. 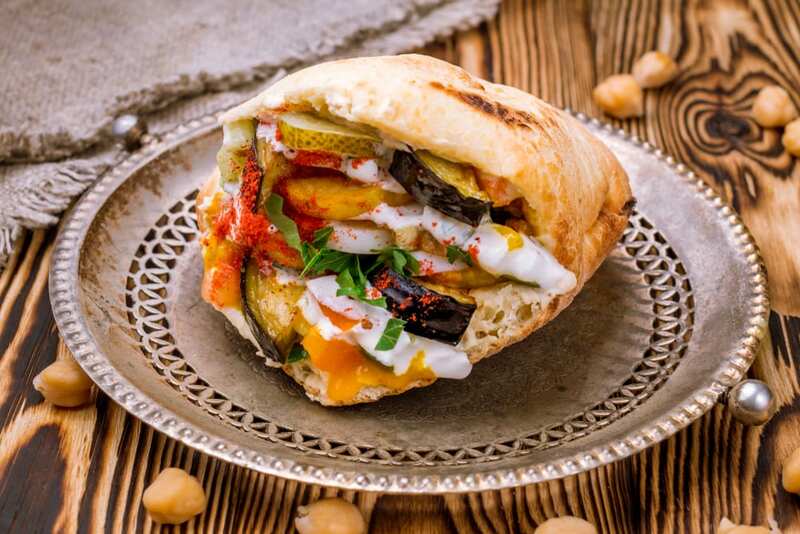 Also known as a traditional Jewish sandwich, the Sabich is commonly a pita stuffed with eggplant and hard boiled eggs. Total prep time of this recipe is approximately an hour and serves up to 2 people. Preheat oven to 425℉. Coat a baking sheet with non-stick cooking spray. Place eggplant into a colander; sprinkle with salt. Let sit for 20 minutes over a bowl or in the sink. Rinse; dry on paper towels. Place eggplant on prepared baking sheet; bake for 20 minutes. If preparing the salad version, add potato to a pot; cover with water. Bring to a boil; cook for 30 minutes, until tender. Let cool; slice or dice potatoes.